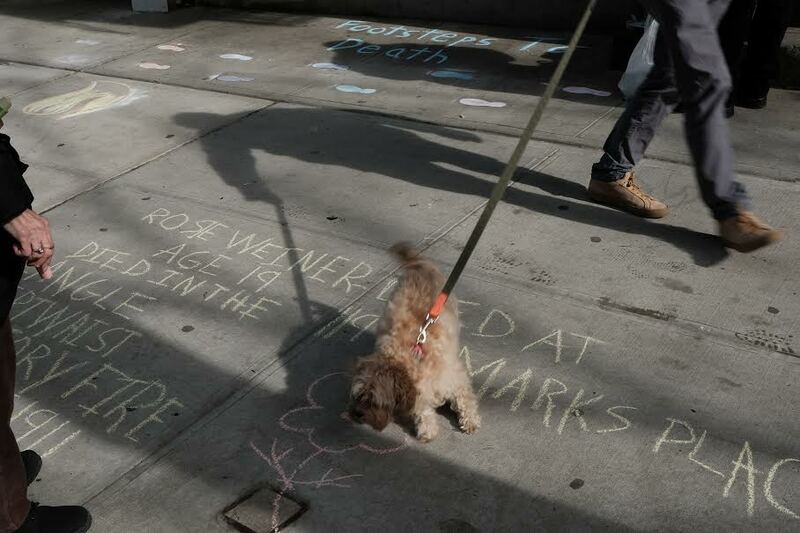 Sunday marks the 107th anniversary of the Triangle Shirtwaist Factory Fire ... ahead of that, volunteers are out today taking part in the chalking project (organized by Street Pictures), writing the name and age of the victims in front of the buildings where they lived on the Lower East Side. The Triangle Shirtwaist Factory fire in New York City on March 25, 1911, was the largest industrial disaster in the city's history ... causing the death of 146 garment workers (mostly young women) who either died from the fire or jumped to their deaths. The Triangle Waist Company was located on the northwest corner of Greene Street and Washington Place just east of Washington Square Park. Find more information at The Remember the Triangle Fire Coalition. One of the women lived in my building. I appreciate that this group makes an effort to ensure these women are remembered. 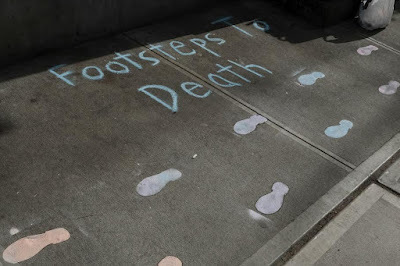 So do I ... thanks for the effort.